From mountain biking up some of the world's deadliest mountains to commuting to work safely, racing on an efficient road bike and exploring technical terrain on a hybrid, there are so many bikes to choose from. But which ones are worthy of your money? 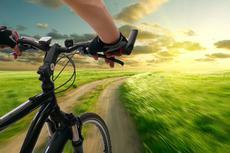 The most important factor when it comes down to choosing the perfect bike for you is what you are going to use it for. “While it is not an exact science, generally one should be realistic about what sort of riding they intend to do and get a bicycle that is designed for that type of adventure, and make sure it is comfortable for them,” Forrest Cutrer from Danny's Cycles Upper West Side says. You need a bike you can trust; one that is safe, sturdy, efficient and maybe even cost effective. Bikes have to match a person’s needs and body. “The ideal posture for someone on a bicycle is one that allows them to keep relatively comfortable while putting down as much power as they can. This is all relative to the style of the bicycle, as some are meant for more comfort than speed and vice-versa,” Cutrer adds. Bike categories can be very fluid nowadays with no set-in-stone rules, he says. But typically, a road bike will have skinnier tires and drop handlebars with gear ratios that are on the “harder” side. A mountain bike will have straighter handlebars with wider, knobbier tires, usually some kind of active suspension system (but not always), and gear ratios designed for steeper punchier inclines. Hybrids are just about anything in between those, maybe having a lighter-weight frame and gearing of a road bike and the straighter handlebars and wider tires of a mountain bike. People looking for hybrid bikes usually need them for commuting. Bikes that can withstand tough roads for a long time, have wider tires are made of carbon fiber and have a nicer steel fork go a long way to making the rider comfortable on poorly maintained roads, Cutrer says. The following list is based on several reviews of experts from major and smaller bike shops in the country who have years of experience in repairing and selling bikes.